Lauren is a rare native Angeleno who still lives in the city of stars. After graduating from California Lutheran University, with a major in History, Pre-Law, Lauren took her talent and passion for teamwork and technology to the Bay Area where she started her career in the Digital Commerce space at Tacit Knowledge. Tired of the fog and missing her hometown, Lauren returned to LA in 2015 and quickly became an active player in the emerging tech scene known as Silicon Beach. 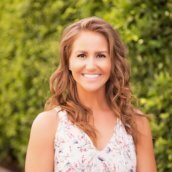 Since joining Dogtown Media in 2016, Lauren’s worked directly with our co-founders to drive improvements in productivity, processes, customer service, and profitability. On her free time, you can find her cruising the boardwalk with her 12 year old rescue and one of Dogtown Media’s famous office dogs, Lily.